These cute set of 3 flamingo cases are perfect for flamingo lovers. Decorated in an adorable flamingo design and stitching around the edges. 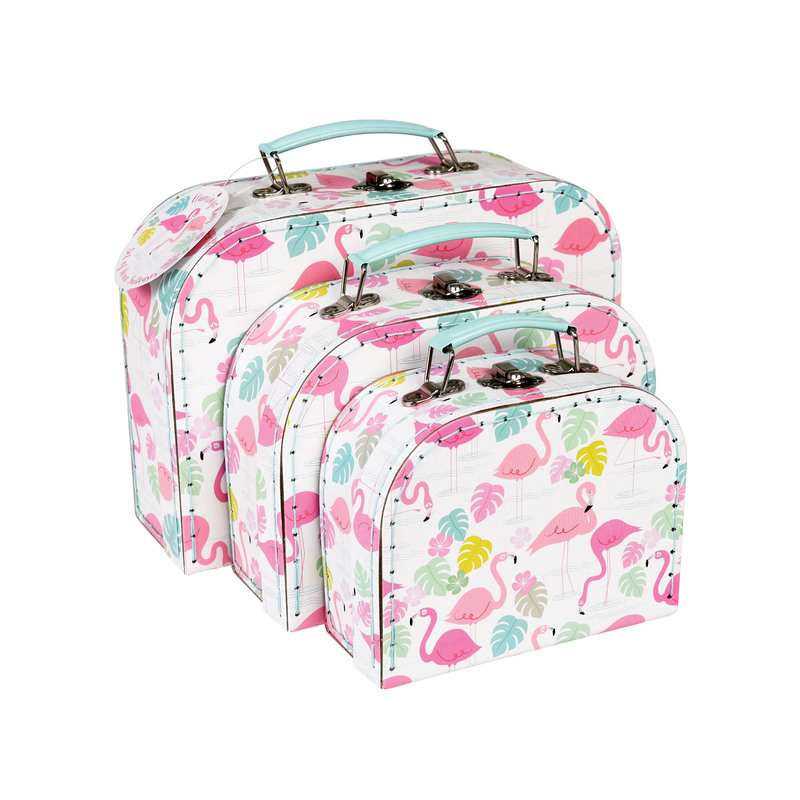 These three flamingo cases are ideal for storing bits and bobs with a secure lock and handles, perfect for on the move.